This list was published in the Shenzhen Daily on June 3, 2011. Many of the sites listed here are covered by my articles; others are not. 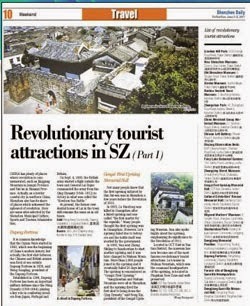 The larger article on that page, "Revolutionary tourist attractions in SZ (Part I)," as well as "Part II," give a little more background on each site, and what makes it "revolutionary." Enjoy!